It was, of course, the new iPad that got the most attention. While you can pre-order the new iPad immediately, it won’t ship until March 16. 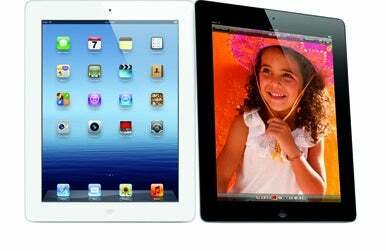 Despite the new Retina display, with its 3.1 million pixels, the new iPad still costs the same as every previous iPad. The new iPad scores an iSight camera on the back; Apple describes it in similar terms to the excellent camera in the iPhone 4S: 5-megapixels, with a 5-element lens and an IR filter. It can also shoot 1080p video at 30 frames per second. The updated tablet also gains support for high-speed LTE networks and voice dictation. Despite rumors to the contrary, there’s still a Home button, still a white model, and still a regular old dock connector port. And the iPad 2 is still available in the 16GB model—but it now costs just $399, or $529 with 3G support. The new iPad will run iOS 5.1, which Apple announced would arrive Wednesday. The feature Apple chose to highlight in the new OS is new Siri support for Japanese. While Apple didn’t spend much time talking about iOS 5.1, it did offer details on various other pieces of software. The flagship announcement was Apple’s completion of the iLife suite for iOS with the introduction of iPhoto for iPad and iPhone. The $5 app, available Wednesday, offers not just photo organization tools, but a suite of touch-based photo manipulation and editing tools as well. You can tap on a specific section of a photo to edit its properties—tap the sky, for example, to adjust its saturation without affecting the rest of your photo. The app also offers touch-based controls for setting white balance, adjusting skin tones, and more. The updates to iWork include new Retina display-ready graphics for the new iPad, new charts for Numbers and slide transitions for Pages, and other minor updates. GarageBand now gets a Smart Strings instrument for controlling a virtual orchestra, a note editor, easier sharing options, and a new Jam Session mode for playing along with up to three other iOS devices. And the iMovie update adds the ability to generate Movie Trailers, among other features. Apple also used its Wednesday event to announce a new model of the Apple TV. This one supports full 1080p video; the iTunes Store now supports 1080p HD video for its TV shows and movies to go along with it. The new Apple TV gains a new interface, which is also available to owners of the previous $99 Apple TV via a software update. Along with the Apple TV, Apple announced that you can now redownload (or re-stream to the Apple TV) not just TV shows you already purchased, but movies as well.